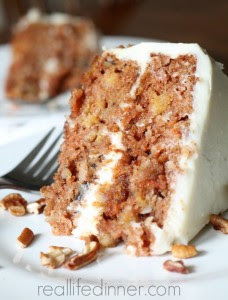 A moist and delicious carrot cake chuck full of flavor and texture, topped with the best cream cheese frosting you will ever have. Next fold in the carrots, nuts, coconut, pineapple and raisins(if using). Fold them in until they are evenly distributed throughout the cake. Pour half of the batter into each cake pan. Bake at 350 for 45-50 minutes or until toothpick comes out clean from center of cake. 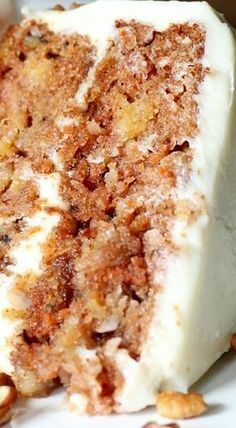 0 Response to "OUT OF THIS WORLD CARROT CAKE RECIPE WITH CALLIE’S CREAM CHEESE FROSTING"